Sagebrush thrives in amazingly harsh landscapes, of relentless winds, volatile temperatures and a thirst seldom quenched by showers, as do its human residents. How does this hardy shrub charm the landscape into supporting such amazing diversity? Shrub canopies rein-in the wind, dropping snow, rain, leaves, seed, insects, spores, soil particles and litter near shrub bases, accumulating a richness of raw materials. Canopies shade and protect the ground beneath them, reducing water loss, allowing seedlings a start, hosting insects and microbes and hiding mothers on the nest. In time, accumulations beneath shrubs become part of soil richness, allow the plant roots to reach out into surrounding soils. As sagebrush roots explore surrounding soils, they pull nutrients closer, creating fertile islands that soften the landscape’s harshness and feed life into populations of neighbors. 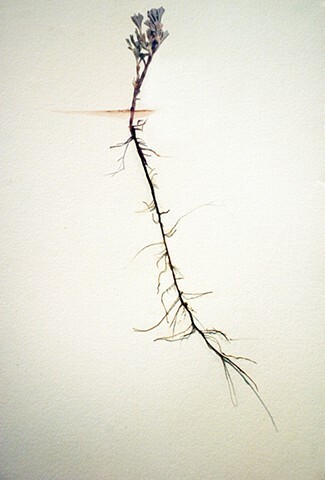 Even in death, roots infuse soils with nutrients for micro-invertebrates, burrowing mammals and insects and soil microbial communities.